After spending the previous two weeks in the U.S. visiting friends and relatives, I returned to chaos in Chengdu last week. Just a few blocks from my apartment, protests were being held at the city’s main shopping street, Chunxi Lu, against Japanese-owned businesses. I had no idea this was going on until I was alerted by my friends over at Chengdu Living who were there documenting the scene with photos and video. This anti-Japanese demonstration came about due to a recent dispute about the ownership of the Diaoyu Islands in the Pacific. The cultural rift between the two countries goes deeper than that though, with bitter feelings about Japan’s invasion of China during World War II still prevalent among those living in mainland China. Now with China having recently surpassed Japan as the world’s second largest economy, the Chinese are feeling more confident about their growing influence in the world, and especially in East Asia. 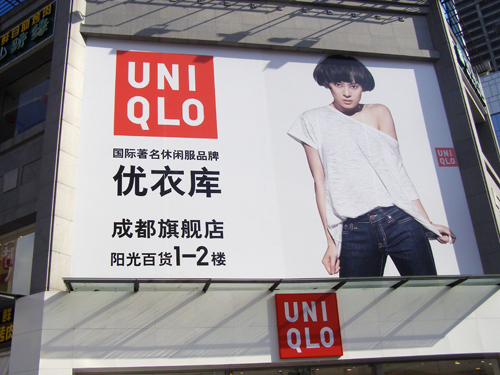 The protests against Japanese businesses in Chengdu reflect this newfound confidence. Strangely, China and Japan are very similar in that both are ethnically homogenous countries, with strong cultures and long histories. The successful development process of both countries (and South Korea as well) can be attributed to this fact. Yet too much of the same kind of ethnic pride, if taken to extremes, can lead to radical patriotism- a kind of ‘us versus them‘ mentality. North Korea currently possesses this radical patriotism. Unfortunately, the Chengdu demonstrations hinted at this poisonous mentality as well. On the other side of the Pacific, the United States is suffering from the opposite affect- a stark lack of consensus among the population. This is exacerbated by fact that America is an ethnic melting-pot, making cultural unity more difficult to achieve. Citizens and politicians alike cannot seem to agree on anything, therefore, nothing happens to help repair the U.S. economy. Perhaps the lack of ethnic unity is one of America’s primary strengths. After all, there is a lot to be said for a place where people from all over the world are welcome to make a better life for themselves (at least this was the case up until recently). There are some groups though, namely the fringe element known as the ‘Tea Party’, who oppose the notion of openness upon which America built a successful nation. The Tea Party is America’s own version of radical patriotism. They purport to be about putting an end to frivolous government spending, when in reality it seems to be the last gasp of air for a dying Anglo-Saxon American hegemony. Instead of putting a stop to ALL government spending, Tea Party members and other concerned Americans should be encouraging the U.S. government to make investments in things that promote opportunity (cutting-edge infrastructure, IT research and development, education). America will never be an ethnically homogenous country like China or Japan. Yet the U.S. can take a cue from the success of East Asian countries by focusing on investing in nation-building rather than sitting around waiting for opportunity to magically come back to its shores.